Enjoy classic French cuisine with a modern twist at Brasserie Stadhal in Schiedam. The chef serves pure, honest food. The best products are used, fresher than fresh. During the day you can enjoy a delicious sourdough sandwich or homemade soup. In the evening you choose tasty dishes from the a la carte menu or go have the month menu. The service in the cozy brasserie is excellent. You feel incredibly welcome! The staff has a lot of knowledge and can advise you in a perfect glass of wine that will match your meal perfectly. Prima tentje. Lunch menu was prima. 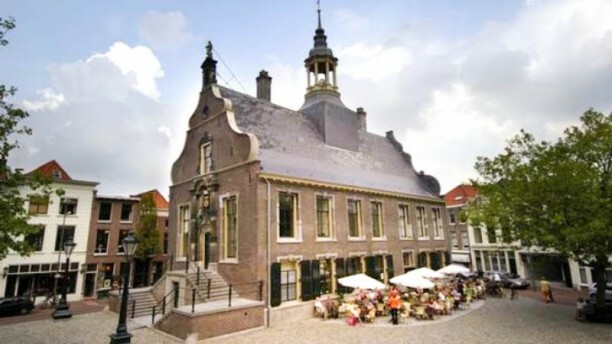 A fantastic restaurant find in Schiedam!. Warmly welcome by a very friendly staff, drinks first at the barrel and then shown to our table in well decorated interior. The menu choice for the month is well thought out. The wine choice was good. All in all, a very good restaurant. We will be back!